Smart-home technology provider Resideo Technologies Inc. — poised to become the largest public company based in Austin — has settled on an East Austin office building as its new home. About 120 employees, including Resideo’s top executives, will work in nearly 28,000 square feet of office space at 901 E. Sixth St., a new five-story building that sits one block east of I-35, and is adjacent to popular bars, coffee shops, and restaurants. The space will house Resideo’s headquarters, a software development center, and an area dedicated to showcasing Resideo products. Resideo revealed the location of the headquarters December 12. The company announced in October that it was moving its main office to the Texas capital from Minneapolis-St. Paul. While the main office technically has been in Minnesota, most of Resideo’s top executives are relocating here from Melville, New York, the headquarters of Resideo’s former parent company. Mike Nefkens, president and CEO of Resideo, says the company initially considered about 10 cities for its headquarters, eventually narrowing the list to three finalists, including Austin. Nefkens says Resideo was looking for a city that would be easy to reach from its hubs in Minnesota and New York, but that was not on the East Coast or West Coast. In the end, Nefkens says, Austin was the unanimous choice of Resideo executives involved in the site search. Among the factors they weighed were cost of living, transportation, access to tech talent, and even friendliness. “I think what really brought Austin over the edge for us was tech talent," Nefkens says. "That was important." “Believe it or not, Austin took a little bit of a ding on cost of living," he adds, although in the final analysis, Austin “clearly came in as a winner.” Nefkens, who grew up in Houston and graduated from Texas Christian University in Fort Worth, says he’s already purchased a house in Austin. He’ll be moving here from the San Francisco Bay Area. Resideo says it’ll create nearly 100 new jobs here in software engineering, marketing, sales, finance, and HR. As of December 12, nine jobs in Austin were posted on Resideo’s website. The Greater Austin Chamber of Commerce estimates Resideo will produce a $20 million economic impact each year in Austin. Resideo expects to occupy its new home during the first half of 2019. 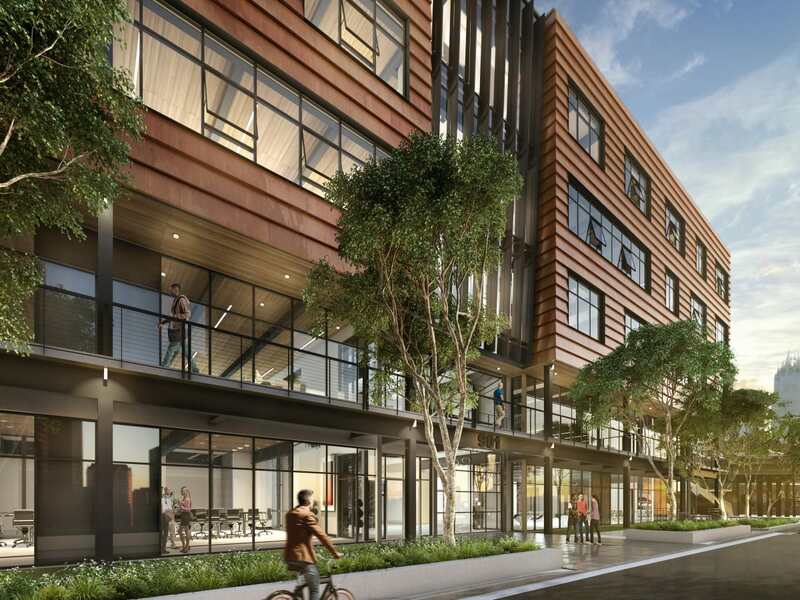 Endeavor Real Estate Group, the Austin-based company behind North Austin’s Domain project, developed the East Austin building. With revenue of about $4.8 billion, Resideo will become the largest publicly traded company based in the city of Austin. Resideo, a recent spinoff of Morris Plains, New Jersey-based conglomerate Honeywell Technologies Inc., employs about 14,500 people around the world. Resideo — the world’s No. 1 seller of home thermostats — will not, however, be the biggest publicly traded company in the Austin metro area. On December 28, shares of Round Rock-based Dell Technologies Inc. will begin trading once again on the New York Stock Exchange. Dell converted from a public company to a private company in 2013. Gary Farmer, chairman of the Opportunity Austin economic development initiative, says Resideo’s move to Austin represents a “big win” for the region. Nefkens spoke December 12 at a luncheon hosted by Opportunity Austin. This article was originally written and posted by CultureMap Austin. Click here to read the full article.